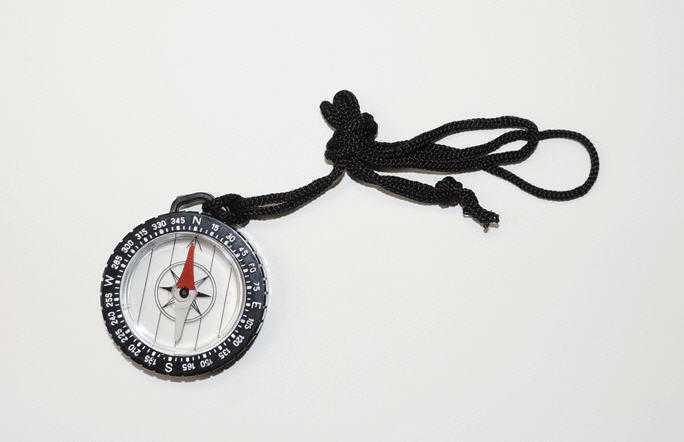 Clear magnetic compass is housed in a black plastic rotatable bezel. Graduated in 5° increments. Outer diameter of bezel is 45mm. Outer diameter of clear compass is 35mm. Compass includes a lanyard.